So I figured - OK, I can do better. 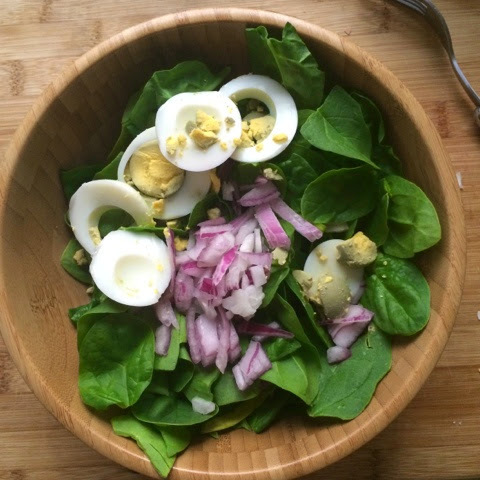 Crispy, vitamin-packed spinach, creamy (but low-cal) blue cheese yogurt dressing, sweet/crunchy red onions and the classic egg. And voila! 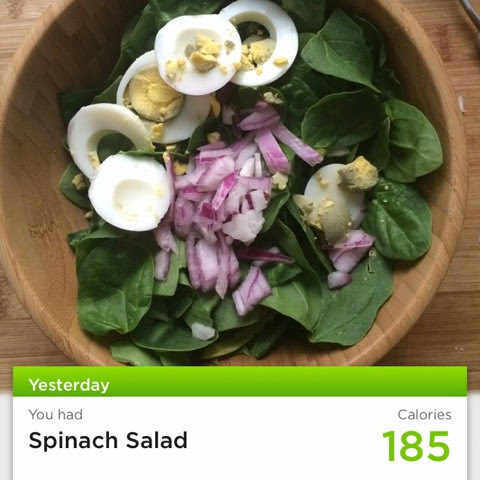 This creamy, dreamy salad has less than 200 calories, 2g of fiber and a million grams of luscious taste. Mix together ingredients, serve and enjoy!